Category Archives for "Paid Search Campaign Performance"
One of the best ways to reduce unnecessary spend is by using Negative Keywords, especially if you are using Broad Match type for your campaigns. Your marketing plan should always be focused on getting the right message to the right audience. Benefits -Improve your click-through rates (CTR’s), reduce your average cost-per-click (CPC) and boost your ROI! 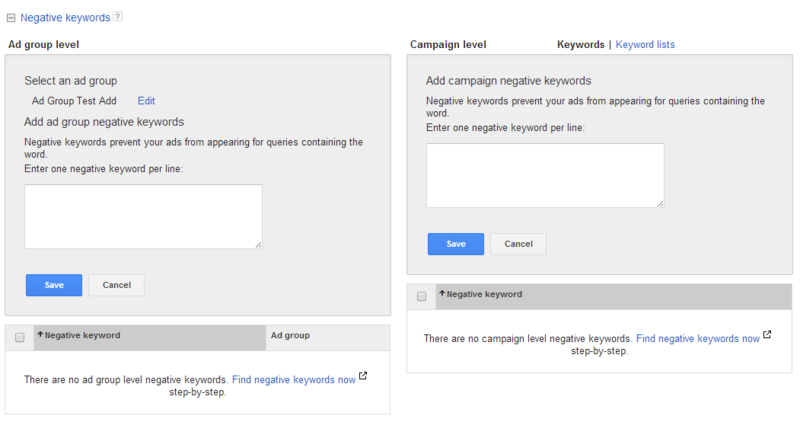 Negative Keywords can be set at either the Account Level for keywords that are generic and will never apply to your promotions or at the Campaign or Ad Group level depending upon the provider. Keywords that you know don’t apply to your promotions. 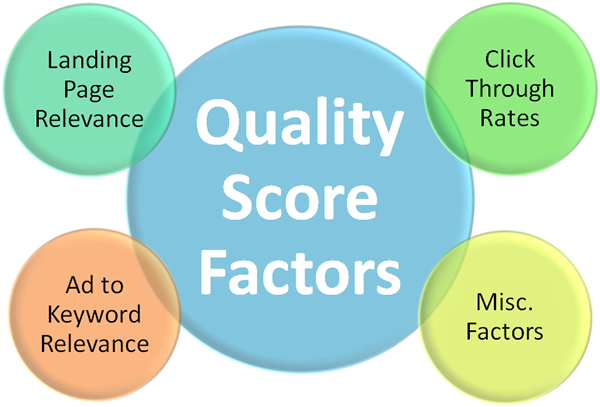 Keywords that are underperforming that may affect your Quality Score. The best way to find keywords that may be eating into your budget is to use the AdWords Query Report which can be found under the dimensions tab and then selecting Search Terms in the view section. 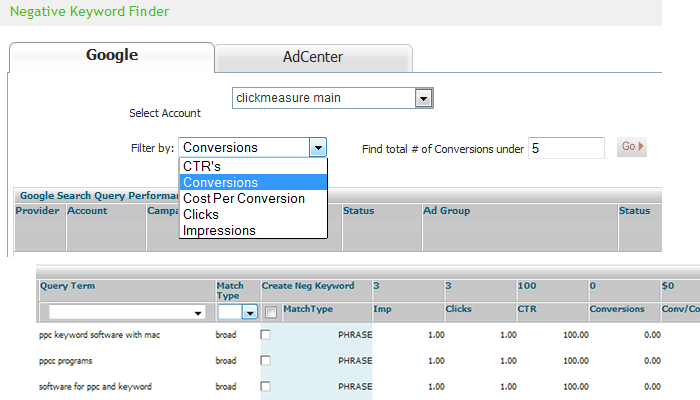 There is an easier way to find those pesky keywords if you are using a campaign management system such as ClickMeasure Pro that has a built in Negative Keyword Tool which automatically provides a suggested list of exclusions. 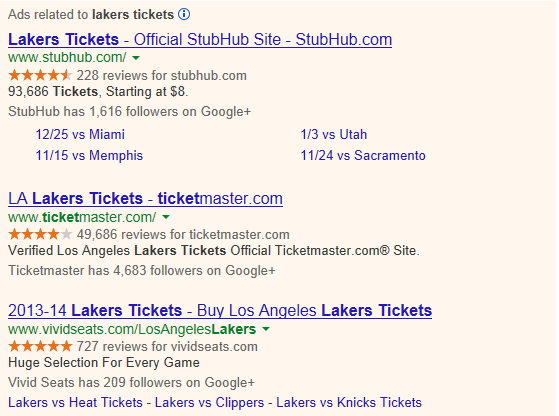 Either way you should perform a regular check for suspect keywords that should be eliminated. Pay particular attention to underperforming triggers that cause low CTR’s, as well as those that fall into the common sense category. We wish you the best in all your marketing efforts. 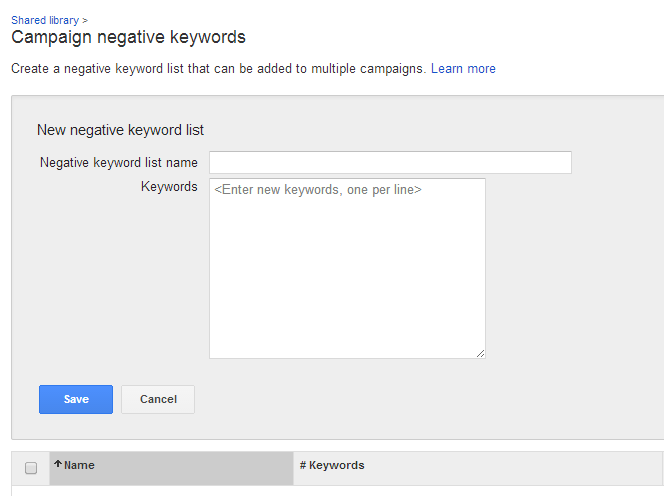 Please let us know how using negative keywords are working for you. Are You Making The Most of Your Search Traffic? In the world of search when you can align organic with paid successfully a whole new level of traffic can be reached with efficiency. Let’s face it you spend all that time researching one or the other for keywords and then set off to produce some great content. Aligning your forces may be easier than you think, that is if you can get the opposing marketing specialists you employee to perform each task to agree that it should be done! Why tackle both? If your goal is to dominate SERP’s [search engine results pages], then you should consider using a combination of both SEO and Paid to improve your business. Two very different disciplines that accomplish the same goal, increasing sales! Some Differences to Consider… Both SEO and Paid Search have their own individual technical challenges which I would never under any circumstances discount, but don’t miss out on the opportunity to leverage similar efforts such as keyword research or repurposing some great content. SEO requires technical knowledge in how to properly assemble a page, leveraging the right elements and the right tactics to succeed in link building. Use heading tags appropriately, such as <h1> and <h2> tags that reflect your keyword and title of your page. Ensure that you use the keyword in the first sentence of the body. While you should write for human consumption first and SEO second it is best to use the keyword at least 3 times in the body copy and at least once in the URL. These are just a few high level examples. Paid Search or PPC can be implemented quickly and can be modified at any time reducing the amount of marketing budget spent on ads that are not performing. PPC can reach a broader audience with keyword variations that can be expanded over time. Campaigns can be optimized to achieve the best ROI using the right features for your specific needs. SEO takes time to see results while PPC can be immediate both efforts rely heavily on the concept of keywords. Where to Start! Analyzing your current traffic is always a great place to start exploring what may already be working. Do you know what keywords people are using most often to find your website? What keywords are driving the most conversions? Using that existing keyword list as research to expand on similar ideas can give you more options to work with. A little recon on the competition is another great angle to explore. There are several sites available to assist in just such research. A great resource to find sites like yours and your completion is similarsites.com which shows sites like the one you enter. You can use the results to create your competition list for further research. A couple great competitor research sites come to mind such as, Spyfu.com that provides both organic and paid keyword data and SEMRush which also provides organic research, as well as ad and keyword research. 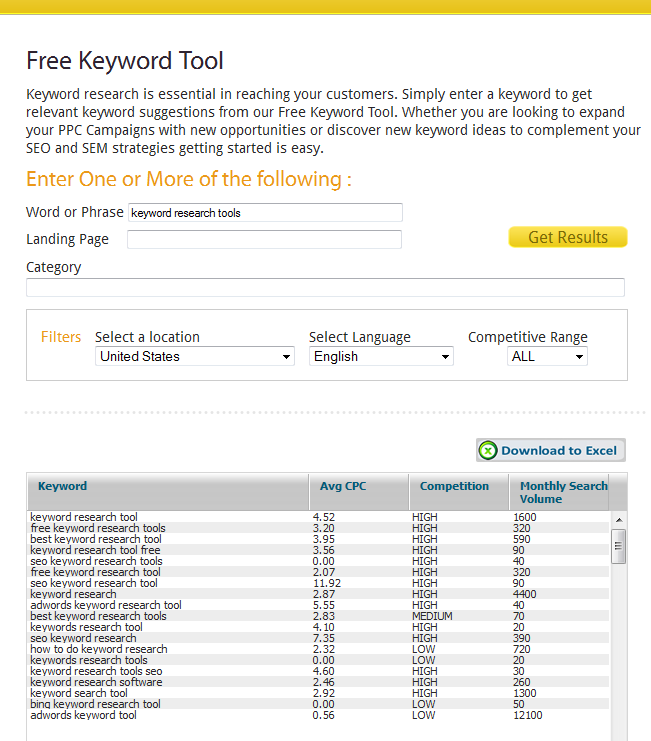 If you’re looking for more ideas we have a keyword research tools for you. 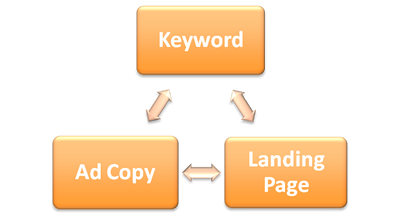 Simply enter your keyword, landing page or category to get a list of possible keywords. Once you have a keyword list in mind it’s time to validate each keyword for its worthiness using a keyword research tool. Not all keywords are created equal. You should evaluate keywords by your current rank, difficulty/competition, monthly search volume, and average CPC. This will give you a solid foundation on which you can prioritize your efforts. Combining SEO and Paid Search can give you the ultimate traffic generation machine to drive your business. 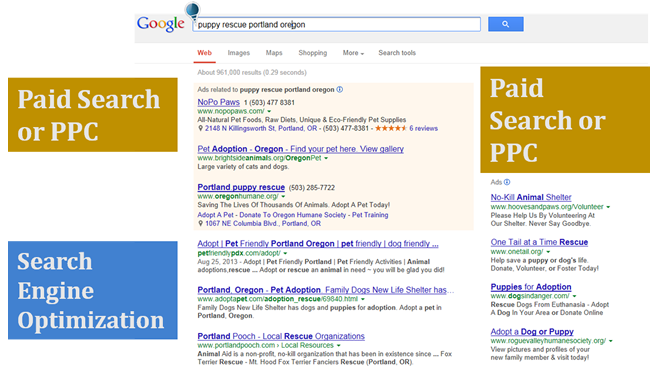 SEO takes time to see results while PPC can produce immediate traffic. PPC can provide greater flexibility in the keywords you pursue and can provide a great environment for testing. Using both SEO and PPC together can give you the right combination of traffic that can be sustained long term. Winter is here and there has never been a better time to save money on your Google AdWords! Whether you are ramping up for the holidays, promoting seasonal items or just want to get a handle on your campaigns we are here to help. Not all ads are created equal. The same ad can cost you more if you don’t have favorable quality scores. There are always opportunities to weed out the aspects of your campaigns that are eating into your budget with ads that are not performing or eliminating keywords coming from queries that don’t pertain to your audience. Let us save you time by automatically generating your hit list! Get started now and see how quickly you can start saving money. We have a risk-free 30 day, no hassle money back guarantee. If for any reason you are not completely satisfied just let us know and we’ll be happy to refund your payment. To save you even more money we are offering a 20% discount off your first 3 months, just use promo code WINTER when you sign up. 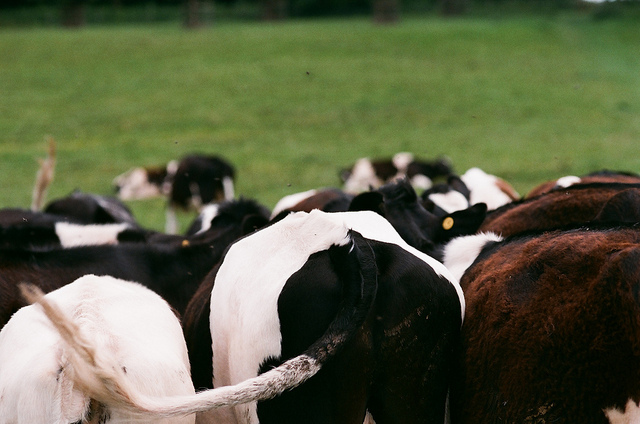 When NOT to follow the herd! There are always lists of the best practices that tell you everything you should do to organize and maintain your Campaigns but rarely mentioned are those things that you should never do. Here’s my top 5 worst things you can do to kill a campaigns performance and cost you in the long run. Never get emotional about a bid. Do the math before you ever start a campaign you should have a number in mind that clearly is the target upper limit of when it makes sense to ever purchase a click. Understanding what you can afford will keep you in check with your budget. If you sell widgets for an average cost of X and your profit is Y. You should never spend more than Y to attract a customer. Never buy a keyword just because a competitor has done so. There are several tools available such as SpyFu for example, that allow you to check out what the competition has been up to with their AdWords. This can shed some insight on what they have learned over time. 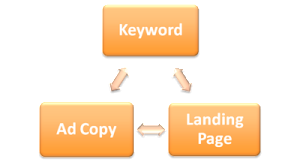 Paying attention to keywords that convert as well as average CPC provides great insight. You should keep in mind that competition only increases the cost-per-click you will pay. In fact you should look for keywords that your competitors are not using. Your competitors may also be focusing in on their features and not yours. Evaluate whether that keyword makes sense to you and monitor whether that keyword converts or provides any value. Never dive in before testing the waters. Never invest more than a small amount in any new provider or campaign element without testing on a small scale. I cannot stress this one strongly enough! Never blindly use the default match type broad without a purpose. 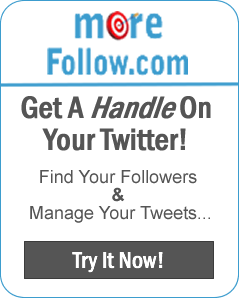 You can get more information about keyword research ideas here. Not all keywords follow the same patterns on bids for match type, do your homework and test for results. You should also monitor your results and adjust the match type to meet your needs. Never combine search and display into one campaign. These types of campaigns serve two very different purposes and should have their own separate campaigns with their own set of success metrics. Separating your network types gives you more control over the campaign settings and will allow you to pause each area as needed. 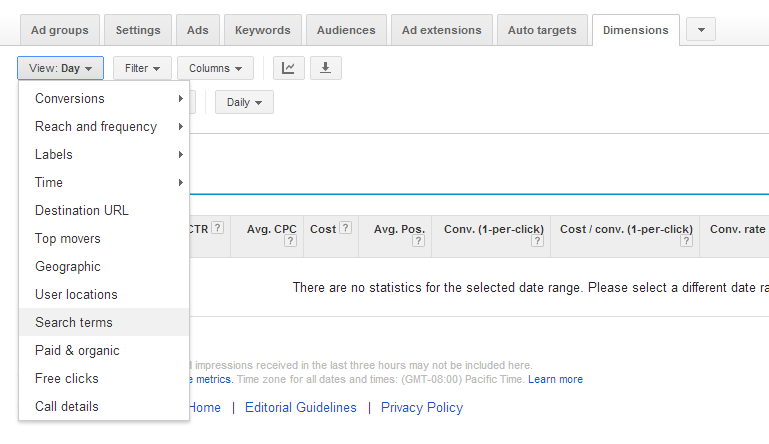 Managing a PPC campaign can be rather exiting and very rewarding when it all goes well. It can also become very costly if it is not done properly. Hopefully these tips provide some helpful insight to keep your campaigns moving in the right direction. What Does Your Google AdWords Quality Score Really Mean? You may ask yourself why should I be so concerned about my quality score? You may be thinking you just create a campaign and see if it works. That may be fine for some folks but for the majority of us who are concerned with where our marketing budgets are going we need more information to get it right. 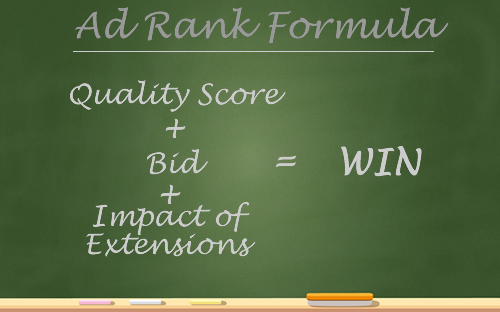 In short your quality score determines how much you pay for a click! A quality score is determined based upon several factors and can have a substantial impact on how much you pay per click as well as whether your ad is eligible to be served. Your account history has an overall impact so it is essential that you maintain high standards. Understanding what goes into the score is the first step in improving your overall rating and saving yourself a lot of wasted money. Click Through Rates (CTR) – Not only is your keyword click through rate important but your overall account history is also taken into consideration as well as your past URL’s CTR’s. Ad Copy to Keyword Relevance – In other words relevance is rated on a full cycle on how relevant your keyword is to your ads as well as the relevancy to what the customer searched for. Landing Page Relevance and Experience – This means how well you have designed your landing page for navigation and how relevant the content being displayed is to the keyword and ad. Numerous Other Factors – There are several miscellaneous factors that also come into play mainly focused on how you compare against others in categories such as geographic, network, and targeted devices. Keywords – monitor your keyword performance reports to see what themes achieve the highest ROI’s. Continually test keyword match types and add new keywords to reveal opportunities to reach your audience. Ads – continually test at least 2 ads for any given ad group, keeping the best performing ads while rotating new ads into the testing mix. Ads that have a higher CTR will improve your quality scores and will reduce your CPC saving you money. Landing Pages – Conversion Rates and Quality Scores should be tested. Simple A/B testing of landing pages for such items as form placement left vs. right can make a significant difference in how a page performs. Colors, images, and headlines should also have a place in your testing patterns. Improving your quality scores should include a plan to monitor your changes over time. Every change you introduce should have a positive impact. This can vary substantially depending on the change but it should always lead to an increase in your ‘QS’ which will in turn improve your performance and reduce the amount of money spent per click. For more information you can get the complete free guide to “Perking Up Your Quality Scores”. Are You Making the Most of Your Holiday Ad Budget? If you are amongst the many folks that rely heavily on holiday advertising it may be time to check your paid search performance with a free trial of ClickMeasure Pro. 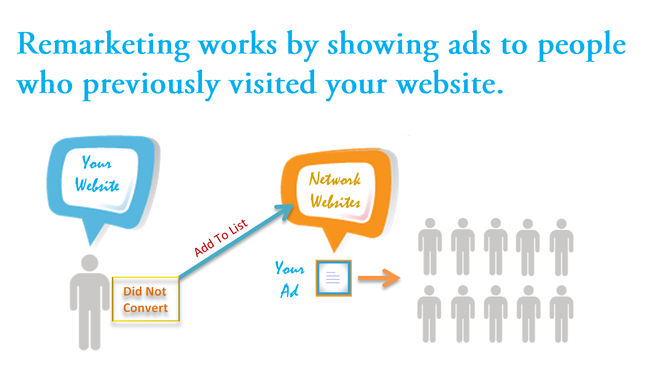 The holidays are hectic enough without having to worry about how your ads are performing. Let us help you save time and money by getting your campaigns optimized. 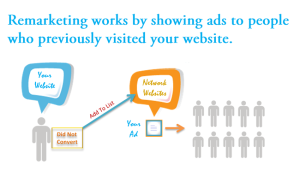 Click Measure Pro is the all in one solution that allows you to research, manage, analyze and optimize your advertising from one location.. We help paid search advertisers increase their return on investments by reducing the amount of time required to analyze data and save money by improving campaign performance. Competition for keywords can be fierce, are you ready to beat the competition?